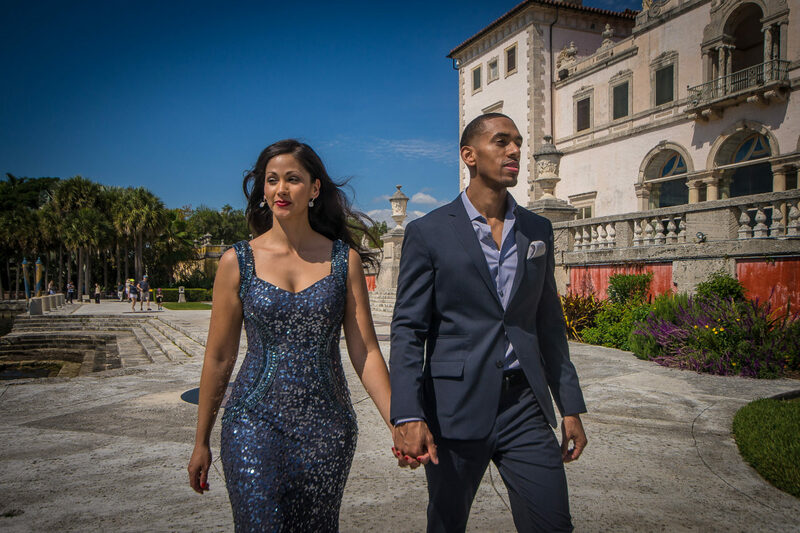 Are you searching for Miami Engagement Photographer? If yes, you presumably just got engaged. Hi, we are so happy to meet you! If you are considering a brilliant Miami engagement session with us, we would first suggest you check our work to make sure you love our style. And indeed, we have something special, here is some information to help you prepare for your own Miami engagement photo session and learn about our photo delivery process and rates. Vital information might be that engagement sessions are included in most of our wedding collections. So if you pay for an engagement session with us, and then you decide to hire us for your wedding, your price will be lowered! An engagement session ALWAYS builds trust between you and your photographer. Through building confidence in this relationship early on, it positions us as friends on the wedding day. You already know me, and I know your taste, your style, and we have already established our comfort level months before the actual event. The result is a more relaxed couple, better expressions and a far easier wedding day than if I just showed up cold for the first time. We also suggest preparing a surprise proposal, but that’s probably something you did already. But you deserve a fabulous engagement session and for that one, you can and should be prepared. We must admit that the personality and energy of your Miami engagement photographer have a pretty huge impact on your photo experience and the quality of your Miami engagement session. YOU MAY ASK, WHAT ARE EXCEPTIONAL ENGAGEMENT PHOTOS? Well, the simple answer is that great Miami engagement photos are pictures you will fall in love with for the rest of your life. Memories of that magical connection between you and your loved one shared in beautiful locations of Miami. You definitely should check 5-star testimonials from our couples. The even better source is our Facebook page. Remember, preparation is the key. As a fantastic inspiration, we prefer Pinterest. Check our Pinterest account for an Engagement inspiration board, Engagement Styling tips or check our own engagement pictures. We are sure you will find some great ideas. It should be about you as a couple, about your own kind of spending free time and hobbies. And now some factors determining the success of your engagement session. We believe that you should choose a location which has some significant meaning for you as a couple. The site where you met or where you both spend a lot of time. Or just a place which you love! It could be something really fancy as Vizcaya or Biltmore Hotel in Coral Gables, but it can also be your own apartment, bed, backyard or just frozen yogurt shop on Las Olas where you met for the first time. We have had a couple from Miami which wanted their engagement session to be done at Grand Central Station in Manhattan because they met there a couple of years ago, although their big day again was held in Miami. Location is determined only by your imagination and your budget. If you want more locations, remember one rule. More locations mean more photography coverage and more variety and more fun. The style might be the first one because style will determine the location. And maybe not… This is fully up to your own decision and taste. Some couples are classy, and they prefer pure fashion or glamour style of their photo shoot (we definitely are the best match for these couples) including team od stylists. Other couples are romantic, and they want gondola in Fort Lauderdale canals (we love that too) and other ones like the ocean, and they would wish to have rainy weather and big waves in the Jetties (we love and did it too, but ask our equipment). This is all about your preferred style, and you should together choose a location. In case you are sure about location, you still can do more of different kind of styles. Props are a fun way to add spice to your Miami Engagement session, energize you as a couple and distract from camera awareness. But it’s all about right props. Not related props can actually do the opposite. Let’s say you both are musicians. Then the guitar could be the best one. If you don’t have anything mutual like a musical instrument, the greatest one could be a bottle of champagne or balloons. Regarding outfit, it’s a matter of style and locations. I assume you won’t wear a tuxedo for the ocean engagement session. But the golden styling rule is simplicity — one color, color matching together, no patterns or multicolor. If you do the beach, the best is always white on white. If you choose a fancy location, you always can get more elegant with your clothes. You also can select fancy props, like pink balloons with pink cotton candy or red Ferrari. The mood is the critical factor. As we mentioned before, the significant impact has your Miami engagement photographer you choose and his personality and energy, but that’s still not 100% package. Fundamental rule … take a good and long sleep. Yes, we experienced a couple after looooong party night, they came dirty with eye bags. That session was depending on our photographer, but we are sure you do not want to copy them. And now the kisses. Oh, we are all about kisses and are getting phone calls from our couples to repeat their engagement session just because they really enjoyed couple of hours of constant kissing. Many times it goes beyond simple kissing and passion sprinkles around. That is really the Miami engagement session we as Miami Engagement Photographer enjoy most. We offer two different approaches to pricing. You either can choose from our packages or go à la carte. You can check it on our engagement sessions page. You will probably notice a special service called “magazine style editing”. Check this album to find out more. One more thing. We are speaking about the Miami engagement photographer and Miami engagement session. Yes, we are based in Miami, but we love to travel. We also have created excellent engagement sessions in New York and beyond. You can see some of them in our engagement photographer blog posts section. 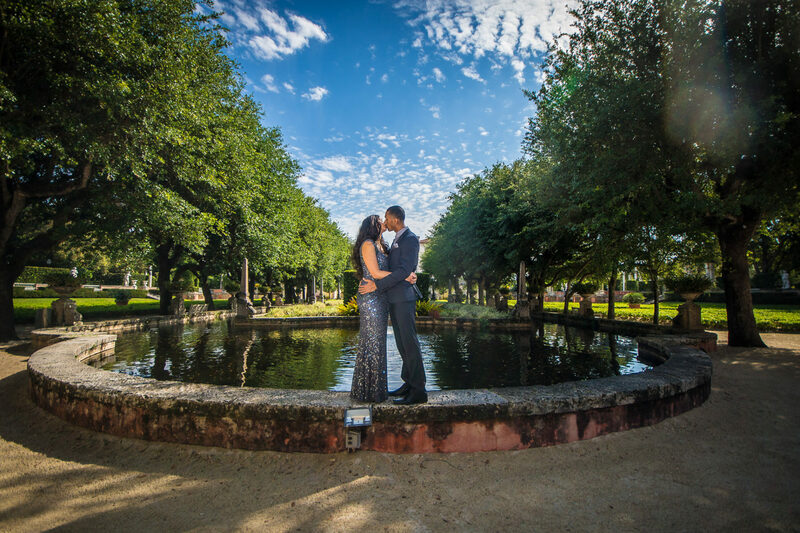 Are you ready to contact us or book your Miami engagement photographer? We are here for you. Get in touch with us here. check more in our engagement photographer archives.